Let’s Go To Summer Camp – OMHG Style! Summer is here! Yippee skippiddy. Can you tell I’m excited? Well, aside from it being hot here in Arizona and our A/C going out, I do still love summer. Watermelon, swimming, flowers, sandals, sun…fun stuff. You know what I’m realllly excited about though? Oh My! 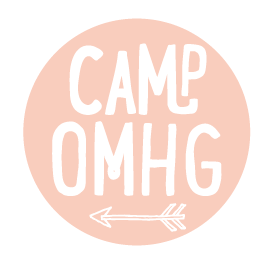 Handmade Goodness is having their own summer camp for creatives and we can all participate in the fun! From now until the end of August, the blog and community will be “taking us all to camp for a summer of business growth + creative fun.” We are going to learn some important lessons to get our businesses thriving but have a blast while doing it! June will be about Survival Skills, so look forward to a lot of basic training. There will be lessons on everything from marketing (aka starting fires) to doing taxes. These introductory essentials should give you the know-how you need to make it through July. July is going to be loaded with Adventure and Orienteering. You’ll learn how to navigate the forest of leadership, creative experimentation, adventuring, coloring outside the lines and daring greatly! You’ll be gaining skills for blazing your own unique path. And after you’ve done all that work, August means time for a summer break! This month is going to be all about fun: eye-candy, parties, arts and crafts, and a lot of relaxation. Head on over and earn your badges folks, join in the festivities, and maybe even play along on your own blog. You can add these badges you your blog by right-clicking and saving and then link up to the Camp OMHG category. 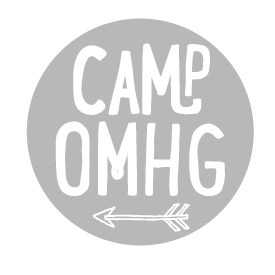 If you are on Twitter, follow with the hashtag #CampOMHG. 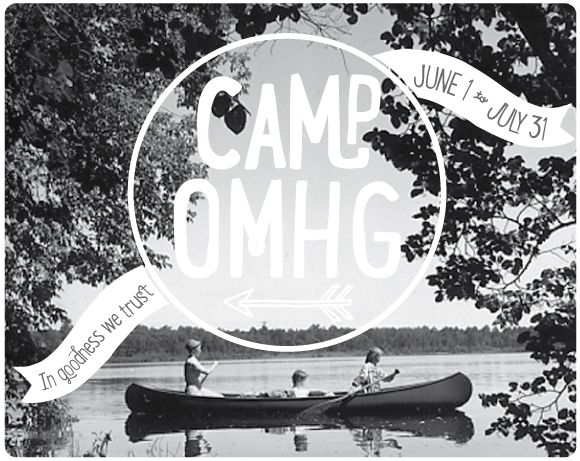 Hope to see you at Camp! !